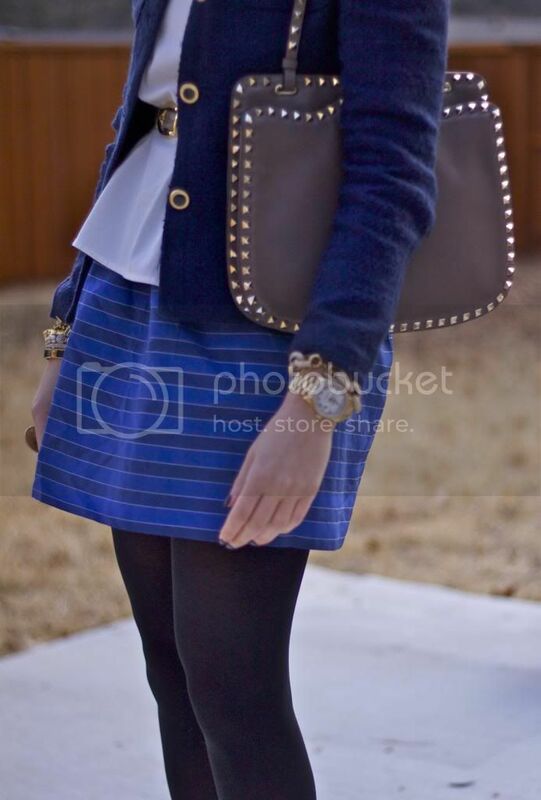 I mentioned in my last post that I was really loving the combination of different shades of blue and black. I will have to be honest and say that my Olivia Palermo obsession has fueled the fire and given me tons of inspiration on both color trends and different silhouettes. In my Pinterest folder, I focused on this pin for inspiration. 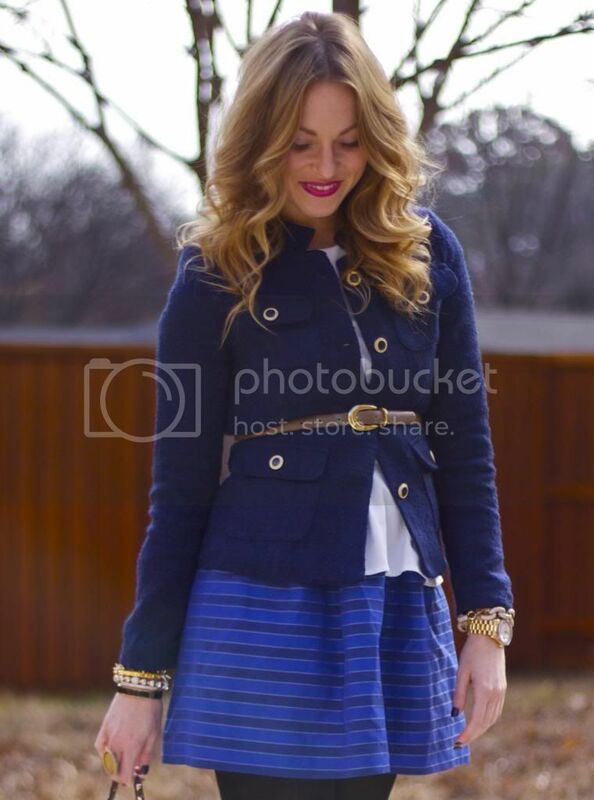 I love the colors, obviously, and the full skirt paired with the tweed jacket. 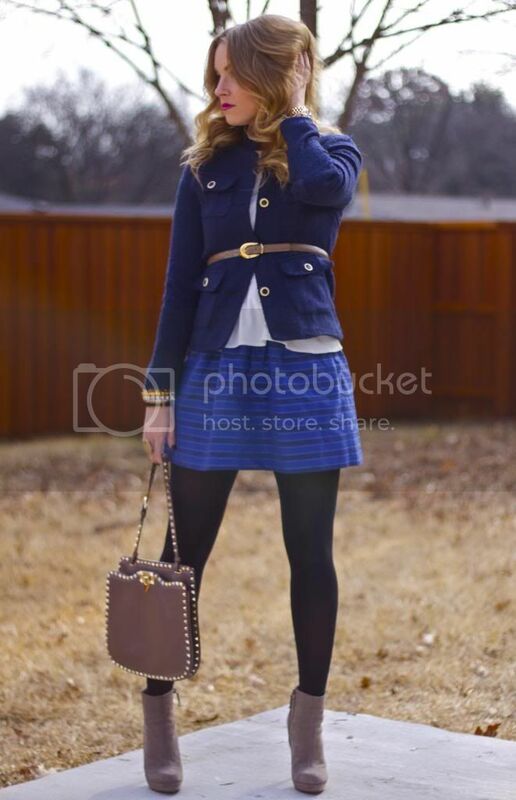 Skirt: J.Crew Stripe Taffeta Mini, old but here is a version from French Connection for $17!! Boots: Zara (old) awesome Sole Society version for $40!! Amazing. 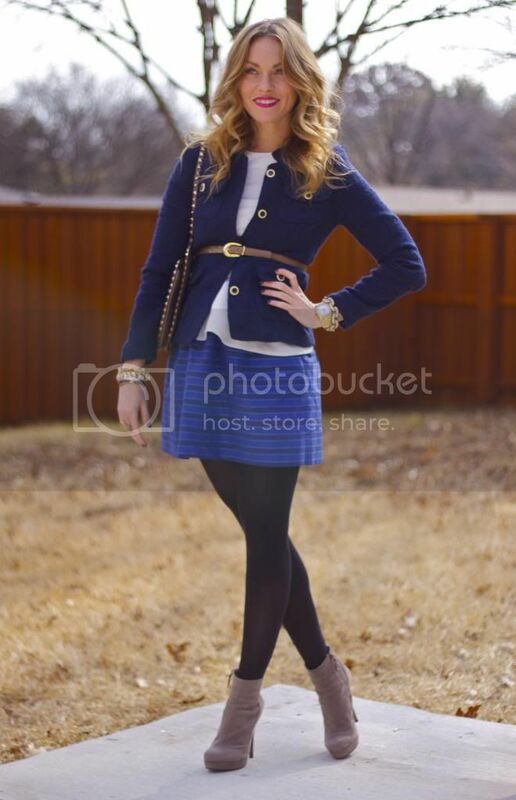 I love a good find -- $15 tweed jacket? Could have told me it was Zara or J Crew, easily. I know, right? I was stoked! Love this look! 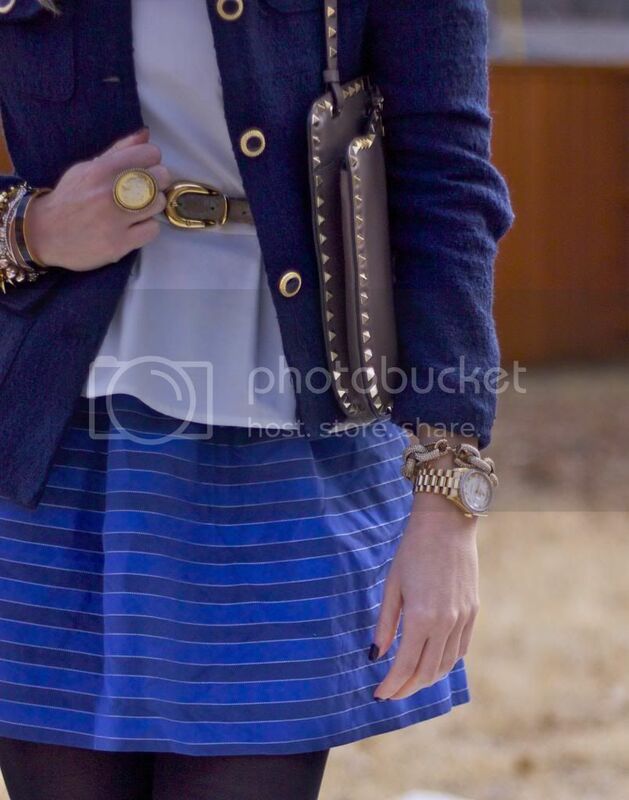 People always tell me black and blue can't go together but your completely right they go so well together. I just nominated you for the liebster award! You can check it out on my blog with the link below. Awwww!!! Thanks Caroline! That is so awesome of you. So do I answer your questions at the bottom? I just came across your blog and LOVE it! I came from working in the music industry to working in the Capitol, so finding stylish--yet work appropriate--outfits has been a challenge. You pull it off seamlessly! this is adorable, just found you and now following!